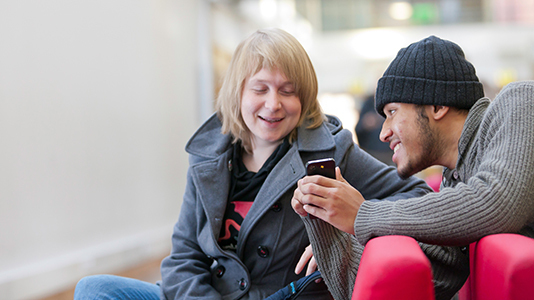 Students and staff at London South Bank University (LSBU) can download elephant. Use it to upload things you no longer need, and discover what's being offered across campus for free, from books to clothing. You'll save our planet (and your money) by reusing things rather than buying them new. Some of LSBU's biggest environmental, social and economic impacts are, unsurprisingly, a result of the everyday routines which keep LSBU running. Whether you are a student, a member of staff or a visitor, the choices you make during and after your time at LSBU have wide-ranging impacts. These include the use of energy and water, the way you travel and the consumption of goods, from food and drink to clothing and computers. It’s easy to take small steps to reduce your environmental impact – starting with reducing your consumption of goods by reusing and recycling. This app will help you find a new home for the things you no longer need, and save them from being thrown away. See the flyer (PDF File 190 KB) for more. The name is a tribute to the vital role elephants play in preserving their own habitats. By so doing, they help to maintain the natural environment. The elephant app has been developed by student Nav Dhuti, in partnership with LSBU's Sustainability team and the Division of Computer Science and Informatics within the School of Engineering. If you have any questions or comments, please get in touch at myelephant.xyz@gmail.com.